I can't imagine my life without books. That moment when you sit down with a brand new book, turn to the first page, and enter the story.... so good. 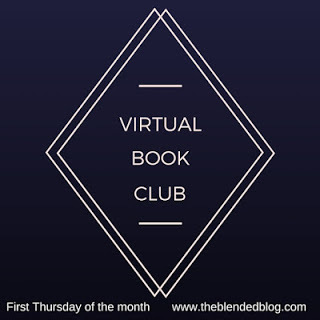 So is being able to talk about that story with friends, thanks to The Blended Blog's Virtual Book Club. This month we had four titles to choose from: Behind Closed Doors by B.A. Paris, Between Shades of Gray by Ruta Sepetys, Summerland by Elin Hilderbrand, and The Alchemist by Paulo Coelho. 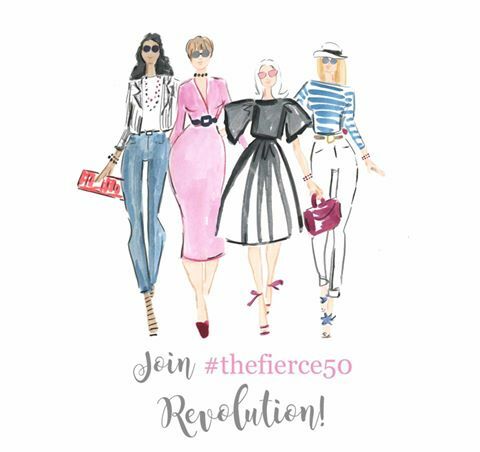 Today we're doing a link up book review, so be sure to stop by The Blended Blog and discover something new for your reading list. It's not too late to join the club, so fill out this form to get in on the fun. I was so excited to see The Alchemist as a choice for March. I read this book for the first time in an Honors English class at college, way back in 1989. The professor was so enthusiastic about the story, but I remember being less than impressed. This time around, with many more life lessons under my belt, I got the message. Santiago, a shepherd boy, has been experiencing a recurring dream about travelling to the Egyptian Pyramids to find a great treasure. He finally decides to sell his flock and set off on the journey. Along the way he meets many characters, some who aid him and some who hinder his path. Over and over in my life, I've found that my worry about something is always worse than the eventual outcome. Yet I continue to let anxiety lead the way. Maybe Santiago and his beautiful journey will finally be the answer. I give The Alchemist all my thumbs up! I also wanted to give a shout out to another book I read this month: The Little Paris Bookshop by Nina George. 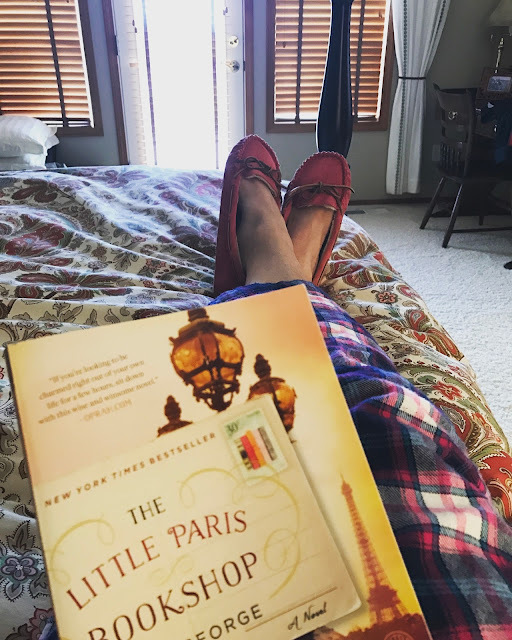 Ever since my trip to France last fall, anything with Paris in the title grabs my attention. This story follows Monsieur Perdu, who owns a floating bookstore in a barge on the Seine. He takes pride in finding just the right book for each reader, to help mend what ails them. But M. Perdu has never dealt with his own heartbreak. After finally reading a letter left behind by his great love, he impulsively decides to sail his barge down river to the South of France, in the hopes of discovering the rest of the story. When I posted a picture of The Little Paris Bookshop on Instagram, several people commented that they hadn't finished the book because it was difficult to get into. I agree. The first few chapters are a little depressing and strange and slow. But please, read this book. By page 49, you'll be hooked. By page 149 you'll be loving the cruise down the Seine. And by the end you'll be crying, because this book has such a beautiful, uplifting, special story to tell. More thumbs up! 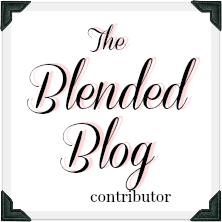 Now head over to The Blended Blog! I read the alchemist about 15 years ago. Loved it. His others not so much. Good to know. I haven't tried any more of his books. I agree on the Little Paris Bookshop- I loved that one too and need to reread it- some many great lessons. but the Alchemist. Oy. Now that's the best. You should read the Little Prince! Written originally in french but is translated and has similar awesome lessons. I remember reading The Little Prince when I was younger - but I will read it again! You should read it again - I got so many different things from it this time. I wish you would join our book club - but no pressure :)! I know - I have the longest list of books to read! I have yet to read it, but I HAVE read Summerland. Like your other commenter said, I want to read Little Prince too! You would love The Alchemist!!! I loved Behind Closed Doors! My friend loved the Paris Bookshop and recommended it to be- good to know about the beginning so if I read it I'll be sure to press on! Yes - I almost wish the author would rewrite the beginning. It gets SO good later on! Really wanted to get to The Alchemist. Had heard about it before it became a book club pick. Now I want to read it even more. Love that you gave it all thumbs up! The Paris Bookshop sounds interesting. Glad to read your review and to know not to give up on it. So many books to get to! I have a huge list going.